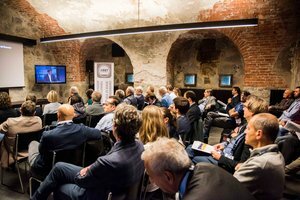 On the 29th September, at the Habsburg fortress in Fortezza, a workshop was held with the title “The Brenner Base Tunnel: Range of Application and Comparison of Technical Cultures and Advanced Operational methods”. 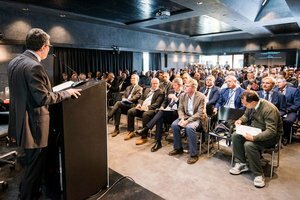 Two hundred sixty three engineers and technicians from all over Italy and from Austria were present. The Brenner Base Tunnel is a fascinating and attractive topic both for its size and the positive impact it will have once it is completed. 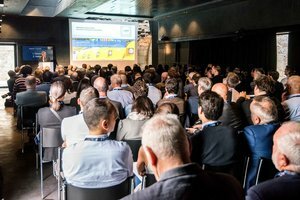 It is a topic of great interest in technical and scientific circles as well: among the speakers at the workshop, there were Prof. Pietro Lunardi, a former Minister of Transport, Prof. Robert Galler of the University of Leoben, and Mr. Remo Grandori, who has made significant contributions to the development of tunnel boring machines. Further speakers were Mr. Stefano Fuoco (construction director of the most important construction lot of the Brenner Base Tunnel, Mules 2-3 which is worth 987 mio Euro and includes 65.7 km of excavations), Mr. Andrea Lussu (coordinator of the Tulfes Pfons lot in Austria, worth 377 mio Euro and includes 38.8 km of tunnelwork) and Alberto Palomba (technical director of the Isarco River Underpass lot, which is worth 301 mio Euro and includes 6.1 km of tunnels). The coordinator and driving force behind the event was Mr. Raffaele Zurlo, CEO of BBT SE. On Saturday 30th September 2017, on the second day of the convention, guided tours took place on the Mules and Isarco river construction sites, where participants saw first-hand the progress of the works, guided by colleagues from BBT SE.